Why cry over dearer air travel, restaurant bills? What gets dearer and what becomes cheaper isn’t a real issue as far as the Union Budget of India is considered. Most of these are market oriented and anyhow all governments want to increase revenue income so as to pave way for spending on development and ensure equitable distribution of income. So even if eating out, buying a car or air travels get costlier, no mark cuts for PM Modi-inspired budget presented by Finance Minister Arun Jaitley. So is the case with status quo on income tax slabs for individuals and an addition of 0.5 per cent Krishi Kalyan Cess on services with an aim to refining agriculture and boosting farming. For those who were looking for more income tax concessions, you need to know that while tax-GDP ratio of France and Denmark stands at 45 per cent and 48.6 per cent respectively, the same for India is a meagre 16.7 per cent; contribution of Indians’ by way of taxes is what is holding the pace of infrastructural development and revival of banking and other sectors. Ideologies and the Right-Left-Centre inclination of political parties has faded in contemporary times and the result is that all parties, not just in India, but around the world, whether labeled as socialist, capitalist, communist or conservative or liberal or democratic or republican, focus both on boosting the urban economy and the labour-farmer community. A direct beneficiary of the 2016 Union Budget, and something that was much-needed looking at the distress of rural economy and failure of crops and incessant suicides of farmers, is the farming community. Here too, while the allocation of INR 5500 crore to Pradhan Mantri Fasal Bima Yojana will serve as a deterrent to unpromising times during monsoon, the Pradhan Mantri Krishi Sichai Yojana and provision of INR 15000 crore towards interest subvention for loan repayment for farmers will prevent continuous degeneration of farming. There is a proposal to double income of farmers in five years, along with electrification of all Indian villages by May 2018; then is the spending on roads in rural areas and affordable housing scheme, all that was needed looking at the vulnerability of rural India. The allocation to MGNREGA has been increased by 11 per cent; experts view this as a win-win situation, however, reports of ghost workers and high corruption at the implementation level has been ignored as usual, sad that this isn’t a matter of concern as far as yearly financial statement is concerned. What instead the government could have done was to stick to the same allocation to MGNREGA and spend the remaining of this amount on fortifying the scheme’s execution, by way of infusing technology and real-time reporting of wages paid and beneficiaries added under the scheme. The 3.5 per cent target of fiscal deficit is welcome, more so when it has a bearing on currency, equity and bond markets, even more when Central Bank’s rate cut in the coming policy review will be a direct outcome of this move. Banks, more specifically, the public sector ones, are the backbone of the economy and the government realizes that this backbone is scuffling with mounting NPAs; the INR 25000 crore allocated for recapitalization of PSBs is a welcome move, though was known even prior its declaration, but is that amount sufficient for banks with mounting bad assets is a question that stands erect and unquestioned. It is agreeable that the Amnesty Program, which is to encourage black money holders declare assets and pay 45 per cent tax on them, will give some elbow room for government’s spending on social sector, but will such high rate actually call upon defaulters is again suspicious; any rate between 35-40 per cent would have been apt. Where the government has scored full marks are the announcements of National Health Insurance Scheme with provision of INR 1 lakh for BPL families with an additional INR 30000 top up cover for senior citizens (boosting the shattered health sector of India), 3000 stores under the Pradhan Mantri Jan Aushadhi Yojna (giving new life to the unhealthy poor) and National Dialysis Services Program through the PPP route (recognizing the need of millions). But will all social spending and rural programs end up taking the country to the target of inclusive growth and dignified life for all? The answer lies in the budget where education, skill development, entrepreneurship and research have been accorded the needed impetus. Digital depository for school leaving certificates, college degrees and marksheets will help improve the process of applications for higher education and jobs. Law to protect investors from Ponzi schemes, legal identity to AADHAR for preventing any leakages in flow of subsidy to the real needy and making brail paper and sanitary pads cheaper will have an impact no less on the lives of common Indian. The Swachh Bharat Abhiyan, pet scheme of the new BJP government gets INR 9000 crore; it may raise questions however with reports coming from many states about number of toilets on papers vis-à-vis toilets actually constructed, thus depicting how budget promises many a time remain elusive. Now some areas of worry come from statements like the government is committed to providing a stable and predictable taxation regime, when recently a reminder was sent to Vodafone for the pending retrospective tax dispute which is under consideration, provide a blurred picture on whether policy makers are serious enough on assuring a stable ground to foreign investors. The New Dispute Resolution Scheme for disputed tax with no penalty on disputed amount up to INR 10 lakh and 25 per cent of minimum imposable penalty on amount above INR 10 lakh needs more clarity. Also, to reduce the ever-high burden on tribunals and courts, all pending tax-related litigations, whether direct tax or indirect, should be decided under the scheme. Real success of any budget, Railway or General, lies in its implementation, timely allocation and dispersal of money to the chosen sectors and clusters. The sunset clause envisaged by the FM will fix an end date, the sunset date, of the government scheme, a novel inclusion in any budget in the country. Indeed, success of the government will be measured in terms of real numbers achieved and not just through budgetary allocations. Yes, the programs for rural India and allocations to social schemes will be cheered, the government will have to think out-of-the-box in terms of effective implementation. 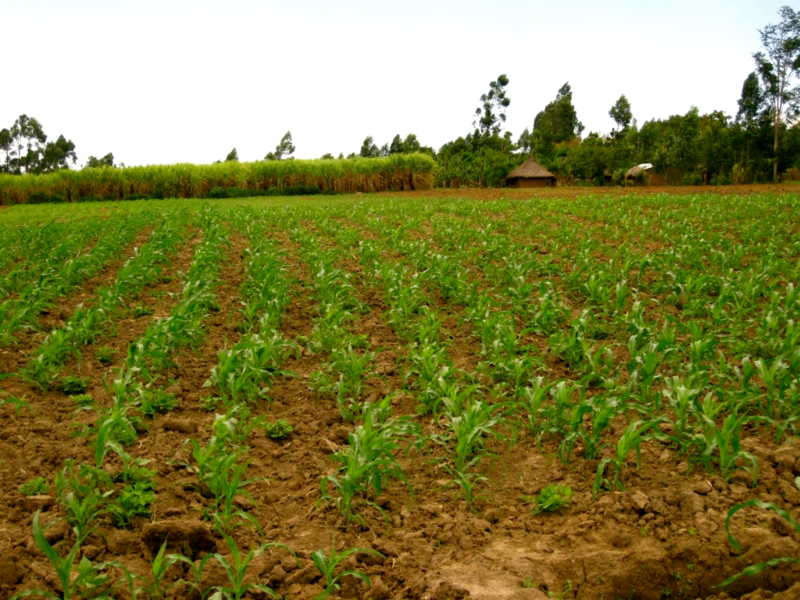 Commissions and statutory agencies to monitor success of programs of farmers and poor, and also to advise most urgent areas of spending can help the government deliver on this front. As per government reports, the farmers of India earn less than INR 1700 per month on an average, a double of this will still be a meagre amount post-5 years; this leaves the policy makers with much to think about. What the government could have avoided is the declaration of contribution to provident fund of new government employees for first three years taking into consideration the increased burden on the exchequer owing to seventh pay commission recommendations and the OROP. Tax on provident fund withdrawals on contributions after April 2016 also hasn’t convinced the salaried class. Also, while surcharge on superrich has been increased from 12 to 15 per cent, which seems OK, the additional 10 per cent tax on the gross amount of dividend in cases where it is in excess of INR 10 lakh per annum for the recipient poses a question as to whether the ones investing in corporate growth of India should solely bear the burden of development and subsidies. 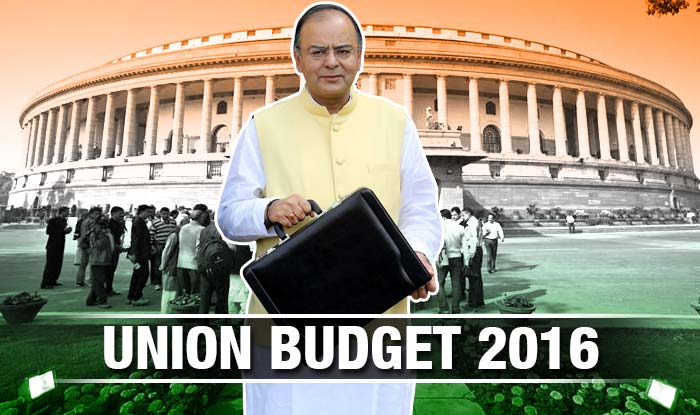 All in all, the union budget 2016 has something for all, especially for the distressed rural and agriculture sector, first-time entrepreneurs who are promised the ease of registration, tax concessions to small enterprises, and the enhanced HRA deduction for the salaried class. Indeed, once the infrastructure and rural economy are made intact, other sectors and clusters will see an all-around advance in the economy as a whole and in their disposable incomes. This entry was posted in blog on March 1, 2016 by admin. Only the interest on EPF will attract tax and not the entire contribution so not much to fear about for the contributors. And this tax on interest will be after April 2016 not for before prior interest. There is no hike in interest rate slab and no increase in tax free limits on investments and savings. Bit disappointing for lower middle class who even pays all indirect taxes no matter what. Government says that only 2% population pays tax so they cannot take care of all government expenditure. Actually proper taxes are not even collected. IT and Excise inspectors take bribes. The entire concept of this budgetary system is a big fail.In past 6 decades budget comes every year with same announcements for road and other things still nothing changes in India. This is a praiseworthy budget from all angles. It is not like budgets of Congress or rail budgets of Mamta and Lalu which were purely populist. Pretty good article projecting towards bigger and shadowed area. One of the most promising budgets after the liberalization budget. Populism has been shunned by finance minister and concrete steps taken to develop country on infrastructure and farm economy. The analysis is appreciable. However, the stress should be on widening the base of Tax Payers which is lacking and there is no visibility of effort in this direction. There is a game going on amongst Political Parties to settle their score without caring for the poor. Many questions arise from this budget. How will the legalization of aadhar work, how will the black money settlement policy work, what about ease of doing business for new start-ups? More clarity please. No clear policy on retrospective taxation. This was the issue in last budget as well. One year on and the government has no clear idea on how to deal with the matter. Modi scored 0 here. Biggest takeaway is for Indian farmer community and they actually deserved it too. They grow cereals for us to eat yet they remain dejected. Its time for their development. I agree with the MGNRGEA analysis. It is not about giving that scheme more money but it is about making sure that money goes to people who are in need. Leakages are to be checked. This will be the first budget on which even the opposition had to say some words of praise because this is inclined towards rural India. Thumbs up for PM and Jaitley. Elections in many states have taken away the share of middle class and entrepreneurship community which is distributed to rural inhabitants. This is a pure election based budget.